Hosted workforce management (WFM) seems to offer a realistic alternative to spreadsheets for smaller contact centres. So what should you look for in a hosted WFM system? We asked some of the key suppliers for their input. Check that all the key functions are present. For example: forecasting for chats, emails and outbound as well as inbound calls; true multi-skill scheduling; real-time adherence monitoring; comprehensive reporting; and proven integration with your ACD. Check whether the supplier has a focus on WFM and the resources to continuously develop the product and provide additional functionality over time. Cloud WFM can be very affordable, with rapid ROI and a strong business case. But make sure that the price is not a ‘loss leader’. There is a difference between ‘hosted’ computing and ‘cloud’ computing. With hosting there must be dedicated servers for each customer. A low price is only sustainable with true cloud computing, where computing resources are securely pooled between customers. Cloud computing also gives you access to extra computer power when you need it. Any initial training needs to be backed up by comprehensive e-learning, not only in the use of the WFM tool, but covering WFM best practice in forecasting, scheduling, adherence, etc. Look for a supplier with a thriving online discussion board, which enables users to browse an extensive knowledge base, ask questions and get answers, share hints and tips, add and vote for suggestions for the future direction of the product. The community should be actively monitored and moderated by WFM experts from the supplier. 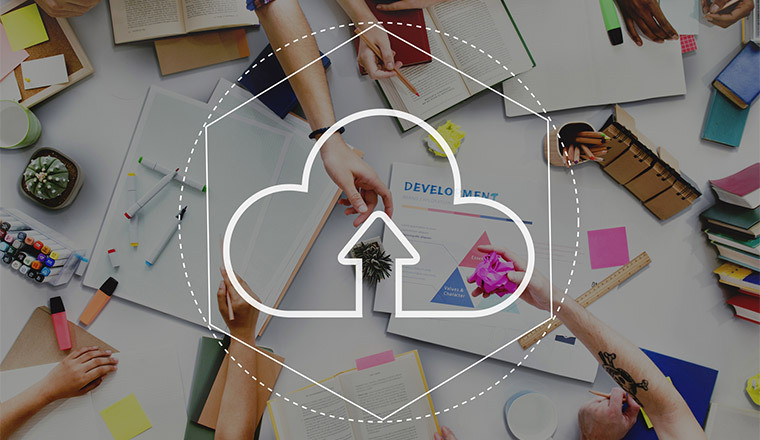 You are trusting the supplier with your organisation’s data, so look for a cloud WFM provider that has a full set of security and data privacy certifications, in particular SAS 70 Type II, ISO 27001, and PCI DSS Level 1. All data traffic between your site and the cloud should be encrypted using https or similar. You are relying on the provider to take care of the server side of the system, including maintaining the hardware, databases and applications, plus installation and testing of updates, backups, disaster recovery, etc. A good cloud WFM vendor will offer an uptime guarantee with a refund clause in case uptime fails below an extremely high percentage. One of the key drivers for moving to hosted WFM is to take advantage of the financial benefits of the “pay as you go” type contract. This alleviates the need to pay an upfront capital expense which may be difficult to justify in the current climate. The vendor should be able to offer a cost per agent per hour that includes licensing and maintenance. This also includes future proofing the solution, as upgrades and access to the most recent developments should be provided via the hosted route. Hosted WFM should also provide greater operational flexibility. Flexible licensing agreements should be offered whereby the number of agents can be flexed up or scaled down to meet demand. Demand drivers such as marketing campaigns, annual mailings and one-off events can all utilise the up scaling a hosted service provides. A hosted solution also provides greater flexibility to multi-site organisations or businesses that are undergoing major change, as the WFM location is not tied down by on-site servers. From a technical perspective, moving to a hosted solution is often seen as de-risking the technology. The vendor will have the application architecture preconfigured off site thus making deployment and installation quicker than a conventional deployment. Contractual guarantees should be sought relating to system availability, contingency options and system recovery. The vendor should provide details of network redundancy and monitoring procedures. All in all, there are a number of compelling issues from a technical, operational and financial perspective to consider when implementing a hosted WFM solution. There should be no difference to the core forecasting and agent scheduling functions of the system whether on-site or in the cloud. Call centres investigating WFM solutions should not only expect all the features and functions of on-site solutions, but also flexible and cost-effective purchasing and deployment options. Cloud-based WFM systems shouldn’t be examined on the basis of what’s missing compared to on-site solutions. Rather, the question should be “what do I get extra?” with WFM in the cloud. A variety of methods to automatically and securely obtain historic ACD data including web services, SFTP, and on-site VPN-enabled applications are proven in the field. Secure and reliable connectivity for real-time information means that other important aspects of WFM functionality, such as agent adherence, are also available. Buyers should ensure that vendors have direct relationships with key ACD vendors to ensure compatibility with latest solutions. Vendor hosting sites also need to be secure and be certified compliant with ISO 27001. Not requiring an old-style dedicated server installed at the customer site leads to flexible and innovative pricing models: per agent per month, burstable, seasonal, etc. Great points. I would expand on the skills basis and ensure that agents can be truly assigned to and moved amongst skills. You don’t want to be stuck scheduling for example and not know who has the skills to fill a shift, specially if your employees have listed availability.